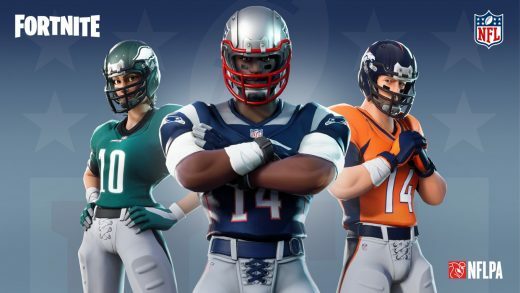 Epic Games has landed a major partnership for Fortnite — it’s bringing the National Football League into the fold. Starting Friday at 7PM ET, you’ll be able to buy NFL team outfits from the Battle Royale Item Shop, which you can customize with any of the NFL’s 32 team uniforms (as well as a Fortnite team) and add your own squad number from 1-99. The NFL cosmetics don’t stop there, as there will be gliders. emotes and resource harvesting tools with a football theme, while you can also pick up a referee outfit. While it’s the first instance of Epic adding branded outfits to the game, this is not the first time it’s forged a partnership with other companies for Fortnite. Earlier this year, it teamed up with Marvel to add a limited-time mode where you could play as the Marvel Cinematic Universe’s big bad, Thanos.